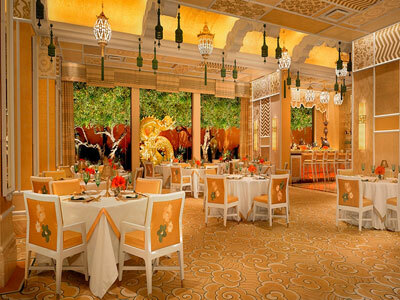 Wing Lei is the Michelin Star award-winning Chinese restaurant at the Wynn Las Vegas. 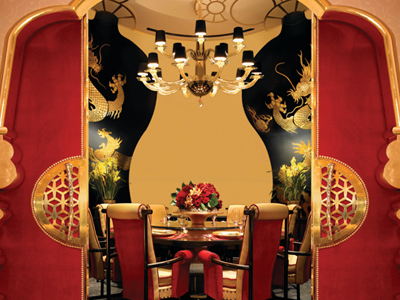 This strikingly elegant space covered in gold has a definitive Chinese theme with an intimate, well-designed feel. 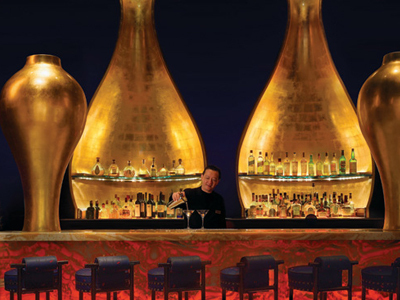 The dramatic bar has enormous gold glowing vases showcasing the bottles. Floor to ceiling windows look out over a garden featuring a wonderful dragon sculpture and pomegranate trees. The menu is amazing with its upscale interpretations of Chinese food with a French influence, and also vast offering seafood, meats, and vegetable entrées. The Peking Duck and Wok fried Maine lobster are outstanding menu choices. The service is impeccable with a knowledgeable and friendly staff.